Located 40km northeast from Tunja, Paipa is a medium-sized town famed for its numerous hot springs located a couple of kilometers outside the town. The hot spring water comes from an underground lake which makes it's way to the surface at various points and is piped into the various pools in the area. Some of the hot springs are housed within the walls of expensive hotels, but many are also open to the public such as the large ITP complex located at Kilómetro 4, vía Pantano de Vargas. The town is safe (especially as there is a military base nearby) although not as pretty as others in the region. But anyway, most people don't come here for the architecture - they come to relax! The town is located at an altitude of 2500m, just under that of Bogota, and is therefore cool at night - making the hot spring experience all the more agreeable. Not far away is Pantano de Vargas, a historically important site in Colombia. It was here on 25 July 1819 that Simon Bolivar's army defeated the Spanish in a fierce battle on the paramo and swamps of the area. As a result, the Spanish were unable to advance on Santa Fe de Bogota. 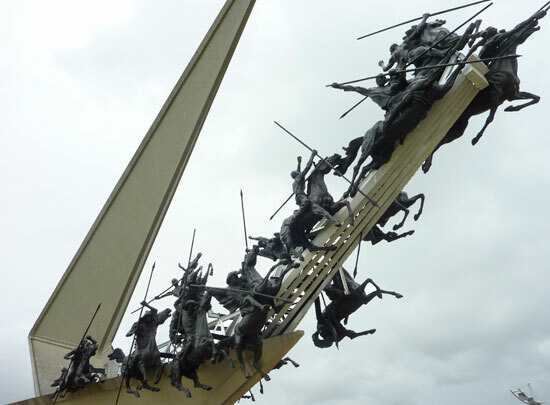 Following a second defeat for the Spanish at the Puente de Boyaca, Colombia's independence was won. There are a large number of hotels catering to all budgets. 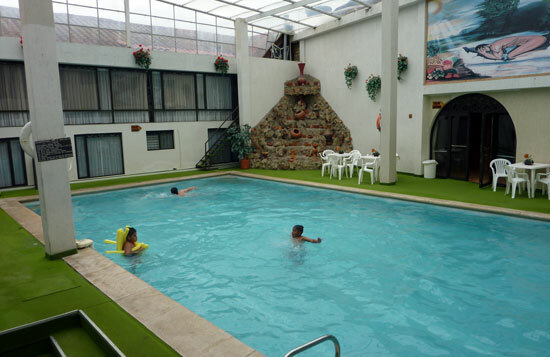 Most of the cheaper hotels are in the town itself while many of the more luxury hotels can be found along the road out to the Aguas Termales (Hot Springs). The best hotel by far is the wonderful Estelar Paipa Hotel. It has an outdoor pool, gym, spa and sauna. The hotel offers a range of therapy and massage treatments. Many of the hotel rooms afford terrific views over Sochagota Lake and the surrounding hills. Also a good bet is Hotel Hacienda del Salitre. It of course includes a thermal pool, sauna, massage sessions and a nice patio. You can also hire bicycles to head off into the countryside. Have a look at this guide to Villa de Leyva, another of the region's colonial towns.